TunesMap visualizes the culture that brings the music you stream to life. 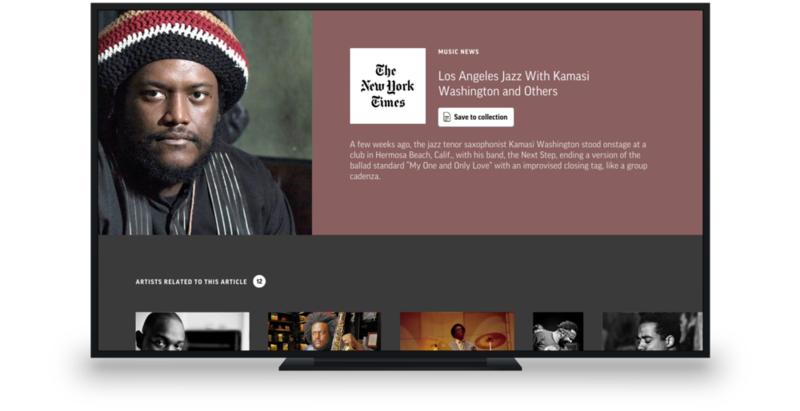 Explore rich media in the context of any artist and their scene. Connect the dots between your favorite music, films, art, fashion, books, and photography. TunesMap promotes content from its extensive partner network of record labels, museums, galleries, publishers, and media outlets. Selecting any item opens more information and relevant pathways for continued discovery. Save any media you find to your "Collection" so you can watch, read, or buy it from the TunesMap iPhone app. TunesMap is the definitive destination for artists to share the culture that inspires them to create. For access to TunesMap’s Artist Tools, sign up here. Amplify your TunesMap experience with Sonos or Spotify. Together we provide the perfect balance of sound & vision for the connected home.